Generation Atomic is a volunteer driven 501(c)3 non-profit organization dedicated to defending our largest source of clean energy, nuclear power. Because our mission is so important, we need as much help as possible, whether volunteering, donating, or by purchasing gear in our store. Here are the best six ways to support our work. 1. Like us on Facebook, Twitter, and Instagram. share some of our posts to help spread the word about the importance of nuclear energy. 2. Download Atomic Action. 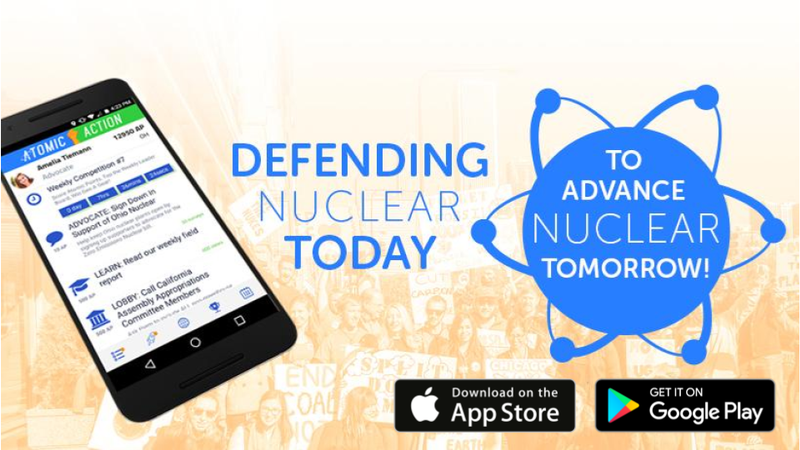 Our mobile app that has regular nuclear advocacy competitions! For Android and iOS. 3. Volunteer. We have a volunteer call the first Wednesday of every month. Sign up here. Our volunteers do a wide variety of things, including write articles and op-eds, organize nuclear related events in their communities, and even design and execute campaigns through our app, Atomic Action. 4. Buy some stuff. 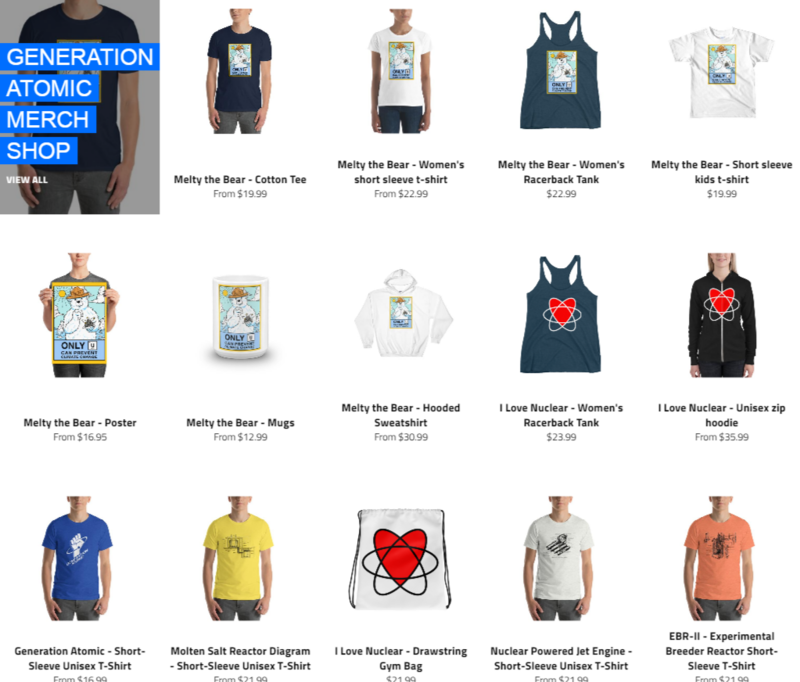 The Generation Atomic Shop has some great gear, and 100% of the profits go to nuclear advocacy. 5. Make a tax deductible contribution. This helps us fund our advocacy work, and is the only way we continue to exist! 6. Bring the Nuclear Advocacy and Communications Training to your Organization. Help us help you and your coworkers become better communications and advocates for nuclear power. Email eric @ generationatomic.org for inquiries.